After hiking the Appalachian Trail in the 1990s, A. Digger Stolz has worked to capture the magical vibe of long distance hiking onto paper. Stolz's novels are outdoor excursion adventures with a humorous undertone. 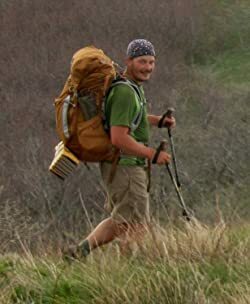 Consider following A. Digger Stolz's writing and hiking journey on his BookGorilla Author Page. Please enter your email address and click the Follow button to follow A. Digger Stolz!